Spring is in the air, and what a beautiful time of year it truly is! 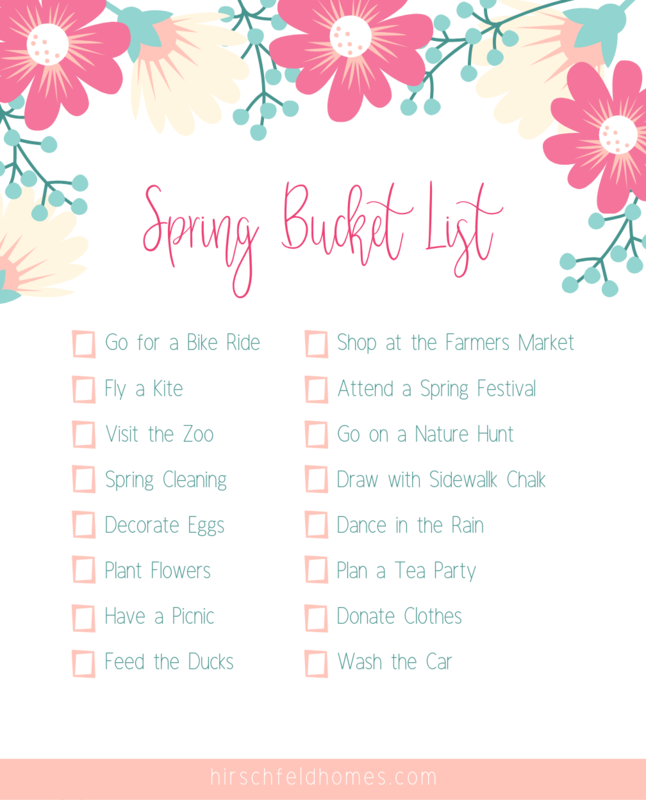 So, to make the most of this lovely season, we thought we’d set you up with a few festive suggestions and a fun printable checklist to get you going on the ultimate spring bucket list. 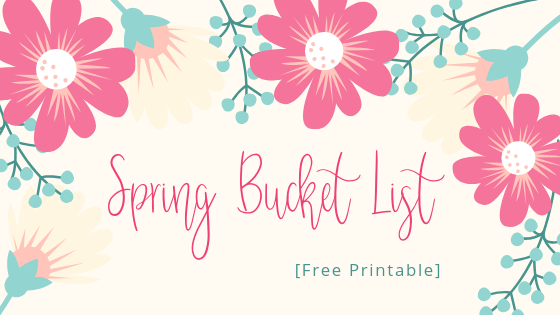 Keep reading below for activity ideas, and make sure to download and print the bucket list at the end of this post. Put the checklist on the fridge or fold it up and take it with you on all your adventures this spring! We at Hirschfeld Homes Apartments in Maryland would like to wish you a happy spring. Spring is the perfect time to refresh, reset, and enjoy the beauty of the season. For those of you in the Baltimore area, make sure to check out other articles on our blog for more springtime events. If you enjoyed our Spring Bucket List, make sure to use the social media icons to share with family and friends.